The TME Shaders mod by CrankerMan is just one of many different shader mods for Minecraft, but it still manages to stand out in one important way. Because it is still getting updates on a somewhat regular schedule, this shader pack works with Minecraft 1.12.2, 1.11.2, 1.10.2 and 1.9.4. That’s actually a lot rarer than you might believe, since there are literally tons of packs that don’t work with the latest version of the game. That combat update was huge and added a lot of new content to Minecraft – this is one of only a handful of shader packs which have updated accordingly. TME Shaders is not about improving your frame rate or making the game run more smoothly. 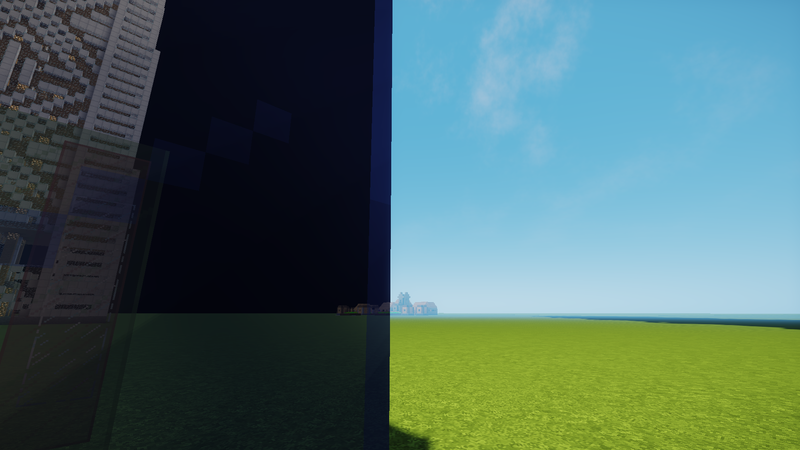 The TME part actually stands for Too Much Effects, because this shader adds plenty of special effects to Minecraft which aren’t normally there. These include moving foliage on trees, realistic shadows that follow the clouds overhead, and more cool effects. Speaking of clouds, they look realistic and billowy with this shader pack installed, not at all like their normal, blocky shapes. Shadows bend and curve around corners and different objects cast shadows of different lengths, all of which makes Minecraft look great. More than anything, the TME Shaders mod 1.12.2 makes the surfaces of textures pop like never before. Your stone bricks, wood planks and other blocks will look more lively and 3D than normal, even without installing any high resolution resource packs to make that happen. Basic game visuals simply look better with this mod installed. Naturally, this greatly increased level of quality in the graphics will make some serious demands on your computer. A high-end GPU and lots of memory will be necessary for Minecraft to render and play at the same speed it normally does, once you install the TME Shaders mod. Now, if you’ve got a computer that can actually handle it, there’s no reason you shouldn’t try the TME Shaders mod. It’s one of the better shader packs available for Minecraft right now, but because it requires so many resources to work well, some players aren’t going to get the same experience as others. In a world where everyone had a high-end PC this wouldn’t be an issue, but because that’s not the world we live in, take a warning from this. There are no noticeable bugs or glitches, so you don’t have to worry about unwanted performance. This pack works great – if you can run it. This shaders pack requires Shaders Mod or Optifine HD to be installed! How to install CrankerMan’s TME Shaders Pack? The first step is to download and install the GLSL Shaders Mod on your Minecraft client! Move the downloaded .zip into the shaderpacks folder. All available download links for CrankerMan’s TME Shaders Pack are below, these links are posted on the third party website, or were not hosted by us, we always keep the official and original download links created and posted by CrankerMan. We try to update CrankerMan’s TME Shaders Pack to the latest versions regularly, please contact us if its new version for this and it is not yet updated on our website. It’s your computer… so dont comment about lag and crap and buy a new friggin PC!!!! Or you all can stop acting like little ****. Whoops, that’s probably what you are. I’d suggest building your own instead of buying, too. Unless you enjoy inferior quality. It crashes my minecraft.. Is there a version that doesn’t do that? it is your computer so if you want to use this mod get a new computer. i gonna look at it now! I cant download the shader becouse every time i try to open the link a White page appears and nothing happens !? It can be said up front that this mod is not for being using integrated Intel graphics and it certainly isn’t for other low-end PCs at all; this mod is a demanding one, but it gives players a great-looking Minecraft world in exchange for the resources it needs to work properly. 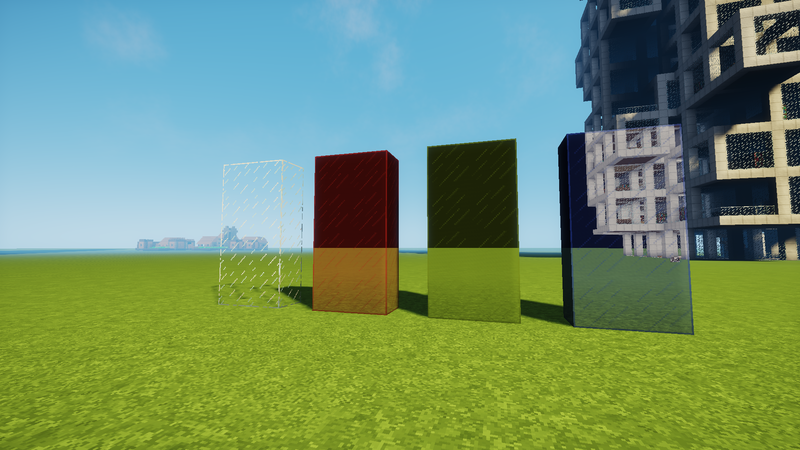 I’ve been having some problems with the transparency of stained glass blocks. When looking through the blocks, almost all the lighting effects and the coloration of the skybox disappears. I don’t know if it’s intentional or not but it’s really been bugging me. It only seems to happen with stained glass blocks and panes. Clear blocks/panes look just fine. yo. can you update this shadder. I only get about 25~30 fps with a noticeable delay when using this specific shadder. can you do something about it. Its a bug with the new maxwell series of nvidia cards, check out the glsl shaders thread for more info. Idk how this works but the only link i can find leads to shaders mod and that leads to optifine and its really annoying! I already have Optifine and its starting to feel very very uncomfortable here! Has articles glitching through the top layers of the ground. Will not use because its not staying smooth, having clear blocks appear in lines is the opposite I need. Hopefully it is fixed and broadly stated with an update. Be nice but, ill look elsewhere. I really like the shaders. The sun is very bright however.